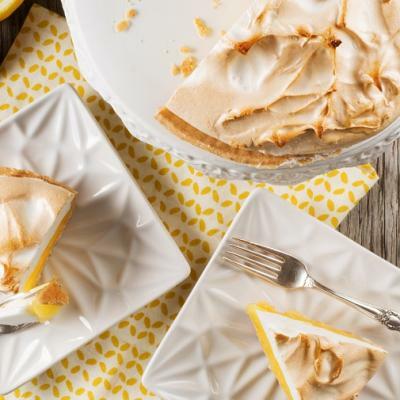 These meringue clouds make a light and delicious dessert. 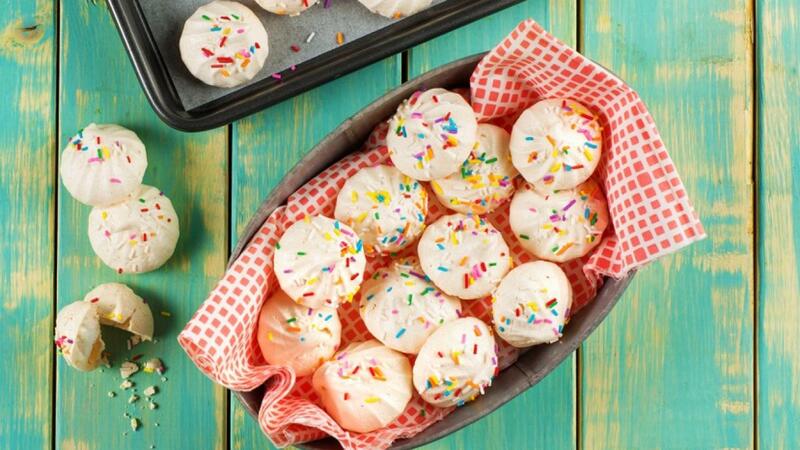 Top with sprinkles for the kids or candy cane pieces during the holidays as a festive treat for family and friends. Preheat oven to 250°F (120°C). Beat egg whites in large glass or metal mixing bowl with electric mixer until frothy. Add cream of tartar; beat until soft peaks form. Gradually beat in sugar, 1 tbsp (15 mL) at a time, until sugar is dissolved and stiff, glossy peaks form. 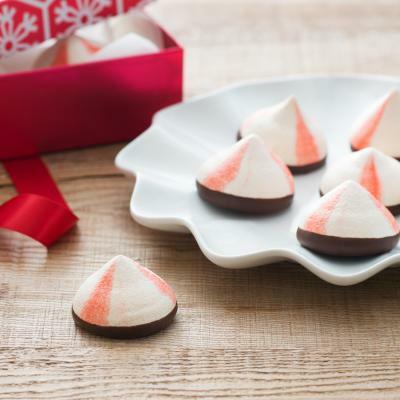 Pipe small mounds of meringue through pastry bag fitted with large star tip or drop from teaspoon onto baking sheets lined with ungreased aluminum foil or parchment paper. Top with sprinkles or crushed candy canes. Bake in preheated 250°F (120°C) until creamy white and firm, about 45 minutes. 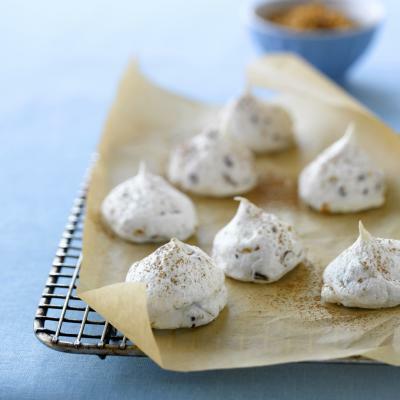 Turn off heat; leave meringues in oven with door slightly open for an hour. Remove from baking sheets. Store cooled meringues in airtight container.